Zoozoo the puppy was found in a critical state. 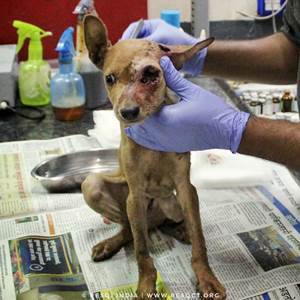 Maggots had infested a wound in his eye, and eaten through a part of his ear and shoulder. He is currently receiving treatment at RESQ and we are hoping for the very best for this little boy who, despite his absolute agony, is REFUSING to give up. The maggots have eaten through his eye and although Zoozoo is the bravest little puppy we've ever seen, the streets are no place for a one-eyed puppy. 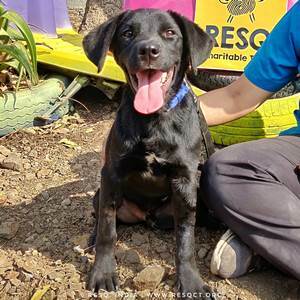 Once recovered, this 3 to 4-month old puppy will need a loving adopter to take care of him and give him the bright and happy future he deserves. If you'd like to be that person for him, please contact us now! Arya has overcome the most heartbreaking of fates. 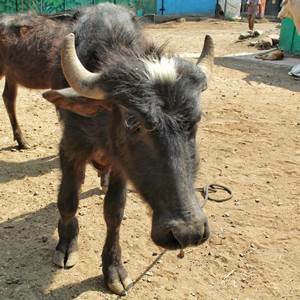 She was found abandoned and lying comatose in the middle of a garbage dump. Her belly hair was clipped and sheared, like vets do for a diagnostic procedures like sonography. She had clearly been taken to a doctor before her family decided it wasn't worth the effort, and abandoned her in the cruelest way possible. 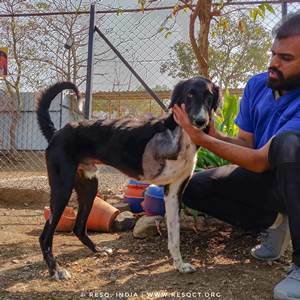 When we found Arya, we didn't know if she was dull and lethargic because of a medical condition or if she had been given some form of anaesthetic. We rushed her to the RESQ Centre and began treatment. Her kidney values were very low and she had two small wounds on her front legs. Initially, it was very uncertain whether Arya would make it. She couldn't move or sit up, or even lift her head up without support. But slowly and surely, this brave girl showed us just what a fighter she is! She has overcome kidney failure and can now not only get up and walk, but RUN to you when you call her! Arya's previous owners saw her as a thing that could be discarded: she now needs a FAMILY that will cherish her for the incredible, beautiful, and tenacious Labrador girl she is. She is approximately 5-6 years old and loves human company. If you'd like keep her company for the rest of her days, please write to us now! Wanda came to us as a frail young kitten last year. Today, this beautiful girl is a strong, healthy 1.5 year-old cat who is now looking for the perfect adopter to take her home :) Wanda was pretty much raised at RESQ, so she enjoys her freedom and likes to come and go as she pleases as an indoor-outdoor cat. She gets along with other cats, dogs, and even large animals -- Wanda's a friendly girl! She's also happy to just keep to herself, so she can be left to her own devices for hours at a time. Wanda's your typical Indie cat in the sense that she is independent and self-reliant. That being said, she also LOVES a good petting! Her hobbies include cuddling, napping, and chasing rats. She would be especially happy at a farmhouse with plenty of room to explore and exercise her curious mind! Sia is a beautiful Labrador girl whose former family chose to abandon her rather than get her the medical help she needed. She was suffering from gastroenteritis (an extremely painful condition that causes inflammation of the gastrointestinal tract) and a skin condition when we found her. After weeks of careful treatment and lots of love, Sia began to show signs of improvement and eventually overcame her pain -- both physically and emotionally! 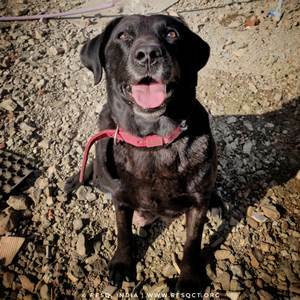 She is a calm and quiet 5-6 year old girl who likes to keep to herself, and would thus do well in the home of an older adopter or working couple. Sia is an extremely sweet-natured girl who expresses her boundless love and affection tenderly rather than boisterously. She enjoys the company of humans, dogs, cats -- Sia doesn't discriminate! This lovely girl has been waiting for her forever family for the longest time... won't you be the one to give her the happy ending she deserves? 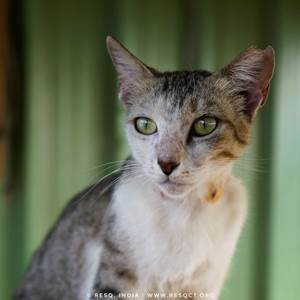 This beautiful girl was abandoned because she contracted a skin condition. 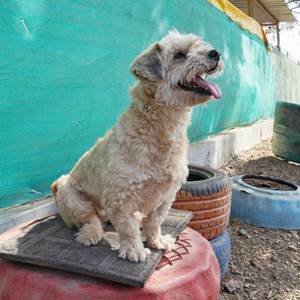 After a few weeks of careful and dedicated treatment at RESQ, she has now recovered completely and is looking for a loving family to adopt her :) Sasha is 5-6 years old, and is an absolute dynamo of energy. She loves to walk, go on adventures, and spend time with people. If you'd like to give this happy, curious little Lhasa Apso girl a bright future, please contact us now! Romeo is a 5-month old puppy who was found abandoned and with a severe case of gastroenteritis. After one month of treatment at RESQ, this fabulous little pupper has now recovered completely! He is an extremely friendly boy who loves people, dogs, and cuddles with equal enthusiasm. He loves to play, go on walks, and spend time with people. If you'd like to give this handsome Labrador-mix a chance at TRUE love and happiness, please contact us now! 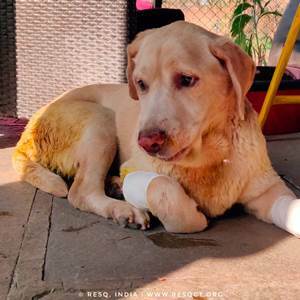 Houndor met with a railway accident that cost him his leg. The railway areas aren't safe for him, and we can't release him back under the care of his reporters. Houndor needs your help now more than ever! Please consider adopting this 4-year old cutie who will dedicate his life unquestioningly to making you smile. Houndor is gentle and friendly, but will do well in a single-dog household. He loves human company and loves to feel a kind hand giving him a good head pat or chin rub! 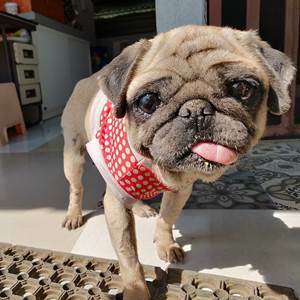 Sania the Pug was found abandoned and in an extreme state of neglect. She was suffering from a severe case of hip dysplasia that was left untreated for so long, that this poor girl could barely even walk. 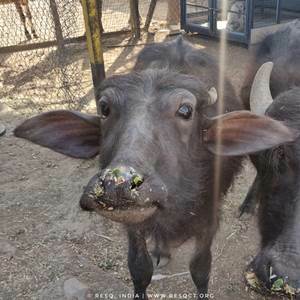 Fortunately, Sania was reported to us and we began treatment and physiotherapy immediately. Today, little miss Sania Mirja can be found running about the RESQ Centre without a care in the world! She adores human company, asks for very little in exchange for her boundless love and affection, and will do absolutely anything to make you happy. Sania has endured an extremely rough and unfair past... if you'd like to be the bright future she deserves, please contact us now!